Brand Finance, the global authoritative consulting agency, released its ranking of the most valuable brands around the world in 2018. 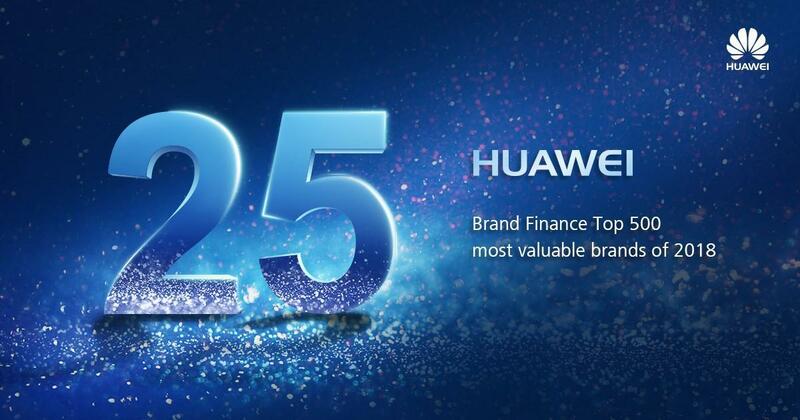 HUAWEI ranked twenty-fifth on Brand Finance Global 500 2018 with a value of 38046 billion dollars, and its brand value increased by more than 50%. The annual announcement of Brand Finance can always bring heated debate, because the international companies who enter the list not only mean strong comprehensive strength, but also show that their brand value has been internationally recognized. In addition to advancing year by year in the list released by Brand Finance, HUAWEI also appeared on the BrandZ Top 100 Brands and Interbrand's "Best 100 Brands". From all these we see the strength and effort of a steadily growing brand.